Dr. Gannoune Diop accepts award from Elder Lance B. Wickman and W. Cole Durham, Jr.
Photo courtesy of Mormon Newsroom. Dr. Ganoune Diop, director of Public Affairs and Religious Liberty for the worldwide Seventh-day Adventist Church, was given the Thomas L. Kane Religious Freedom Award by the J. Reuben Clark Law Society (Brigham Young University) recently in Philadelphia. 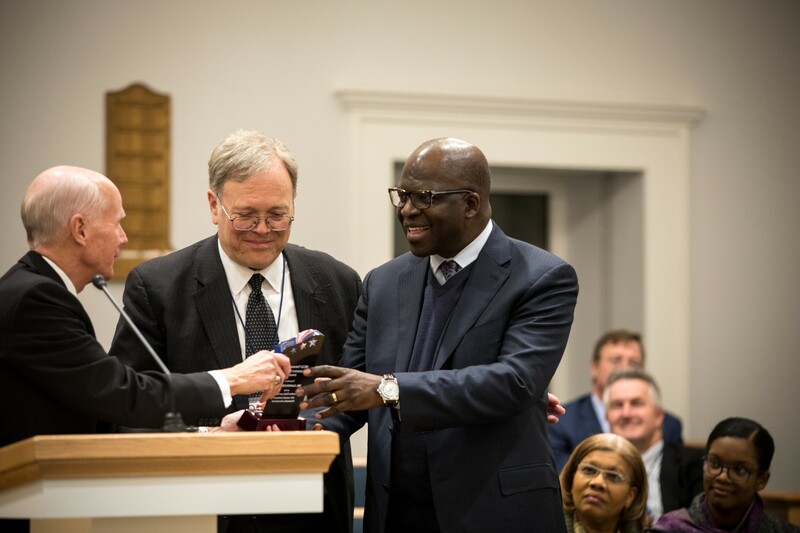 In presenting the award, Elder Lance B. Wickman, general counsel for The Church of Jesus Christ of Latter-day Saints and emeritus member of the Seventy, thanked Dr. Diop for being a friend of the Church like Thomas L. Kane was a friend to the Church. During its annual conference in Philadelphia, Pennsylvania, the J. Reuben Clark Law Society named its annual Religious Freedom Award after Thomas L. Kane, a Philadelphia lawyer who assisted the early Church in the migration to Utah and establishing the state of Utah. The award is presented to an individual who exemplifies the character and traits of Thomas L. Kane in upholding and defending religious freedom. Dr. Diop said it is an honor to receive the award named after an individual who stood for religious freedom and uplifted the downtrodden who were not of his own faith. He also expressed gratitude for the friendship he had with the late Elder L. Tom Perry of the Quorum of the Twelve Apostles (1922–2015). 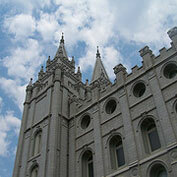 He said he knew from his associations with him that Elder Perry was a man of God. Dr. Diop pledged to do as Thomas L. Kane and stand for religious liberty for all and encouraged all to accept the same pledge.